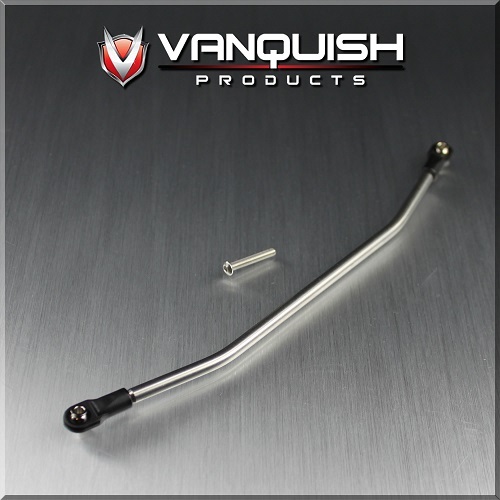 • Vanquish Products Racing Ackermann Titanium Tie Rod. • Specifically designed for Vanquish wraith knuckles with Racing Ackerman arms. • Ackerman Steering geometry allows the inner wheel torn turn greater than the outer wheel like most non crawler type setups. • Machined from 3/16 inch diameter 6AL4V Titanium rod. • Precision CNC Machined one piece, with 4mm threaded at rod end.